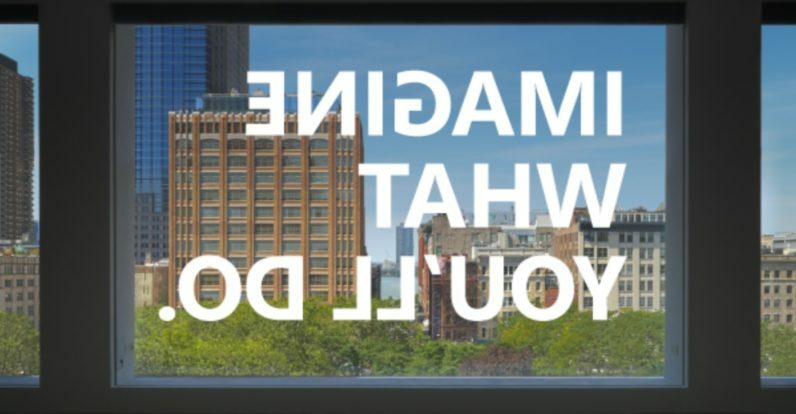 Microsoft is hosting a major Windows 10 event on October 26. The company has been extremely tight lipped about what to expect, but all signs point to a new Surface all-in-one desktop PC, à la iMac. Moreover, there’s might be some other products on the way (probably at a later date) based on a set curious trademark applications – some made directly by Microsoft, others that may have been delegated. The information is provided to us by Brian Conroy, also known as The Trademark Ninja, a commercial litigation lawyer specializing in trademark law and intellectual property. This is the same guy who provided strong evidence on the possible ‘Magic Toolbar’ on Apple’s upcoming laptops, among other trademark detective work. It’s worth saying now that some of the trademarks are more conclusive than others. Let’s start with the more concrete bits. Microsoft filed two trademarks on October 14. These aren’t speculation: they are listed under the company’s name. Microsoft registered a trademark for a ‘Surface Laptop.’ That’s a bit curious given the company already has the Surface Book; it’s probably not going to change the name for line, nor are we expecting an update. Instead, Microsoft is probably simply covering its bases. We already knew Microsoft is updating Paint, although we didn’t have an official name for it. Now it’s all but certain it will be called Paint 3D, which makes sense given the features shown in the leaked video. Now for the detective work. The trademarks are not filed under Microsoft’s name, but there is reasonable evidence to believe they might be linked to the company. However, without them being directly registered by Microsoft itself, we can’t be completely conclusive. Got all that? Now, Microsoft has the option to allow the trademark to remain in place, but it has previously objected to trademarks that didn’t have nearly as much of an overlap with its own. It seems oddly suspicious a small Slovenian company would be willing to try to fight Microsoft on a trademark war, and that Microsoft has yet to object to the trademark application over 8 months since its filing. It has previously objected to trademarks with the word ‘Surface’ in them in the span of days. The key thing to note is that the Slovenian application – if Microsoft is behind it – would extend the Surface brand to cover mobile phones and wearables. The current Microsoft trademark does not include such devices. In addition, the Slovenian company has applied for trademarks for ‘Surface Studio and ‘Surface Dial.’ Those sound like awfully good names for a desktop and mobile device under the Surface brand. Our own guess is that the Surface Studio is pretty solid bet for the October 26 event, given the leaks we’ve already seen, not to mention that the Verge has corroborated the rumors (of the device, not its name) via its own sources. However, Microsoft isn’t expected to reveal a new phone until 2017, and it seems likely the wearable would accompany a mobile device, not a desktop. In other words, don’t expect to hear about Surface devices other than the desktop PC, though if we’re lucky, we may get a teaser or two. We’ve contacted Microsoft for comment and have not received a response at time of publishing, but the company doesn’t normally comment on rumors and speculation anyway. Be sure to check out the source link below for the full breakdown – it’s a fascinating read into some of the lengths companies may go to to keep their products from leaking early. Big surprise, right? That’s a bit better than the usual “we don’t comment on rumors and speculation,” but far from a confirmation. In any case, the event is only two days away. We’ll be reporting on location, so stay tuned to TNW for more.